Available in BLACK. These board shorts by Ninth Moon are a shorter style to the others I have listed. Available in BLACK. These board shorts by Ninth Moon are a shorter style to the ones I have listed. They are quick dry style, with a cargo pocket on the leg and an adjustable waistband with elastic and velcro. Fantastic for swimming or just lounging around. New with tags, please email me your size. 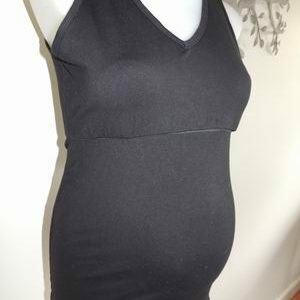 Be the first to review “NEW Black Maternity Board Shorts” Click here to cancel reply.